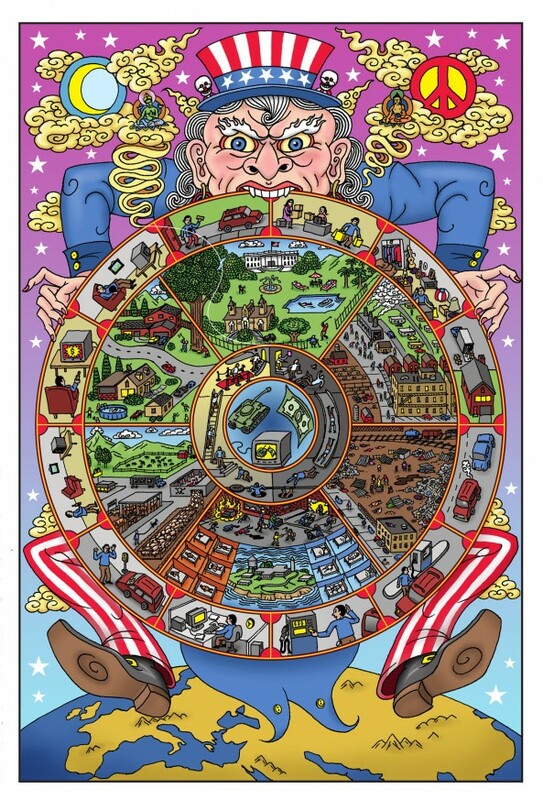 This weekend at the Cosmology of Love Conference my friend Darrin Drda presented this stunning cartoon depicting the American way of life caught in our way of life and the detriment it causes to our well-being and connection with life itself. For those of you not versed in Sanskrit, Samsara means the “continuous flow” and is the cycle of life, death, rebirth, birth, and reincarnation in many eastern traditions. Hey Becky, That’s actually Darrin’s explanation that I pasted on my blog, not my own! Long Live Darrin! Thanks Matt! Good to know!